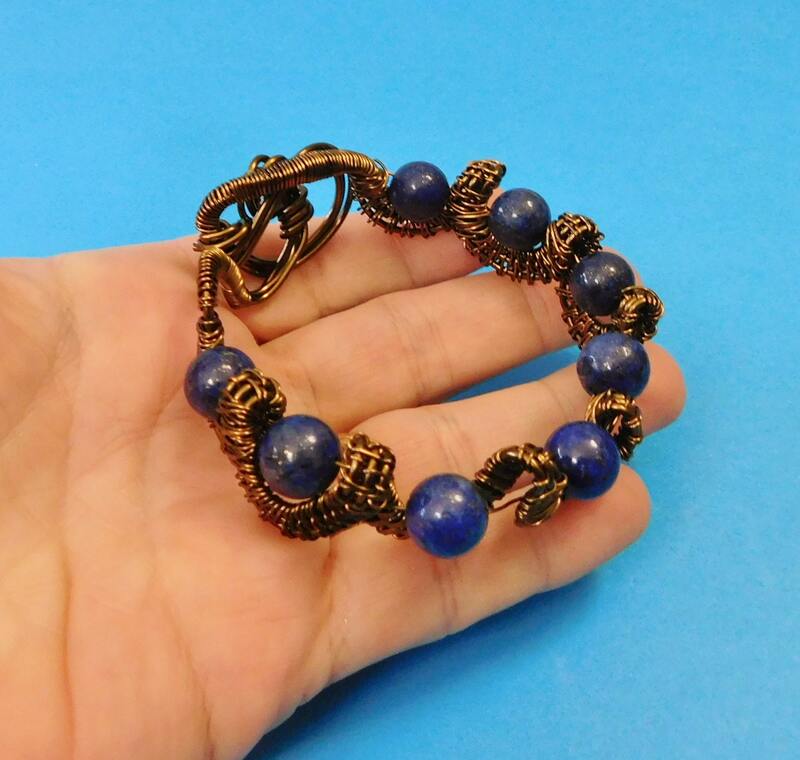 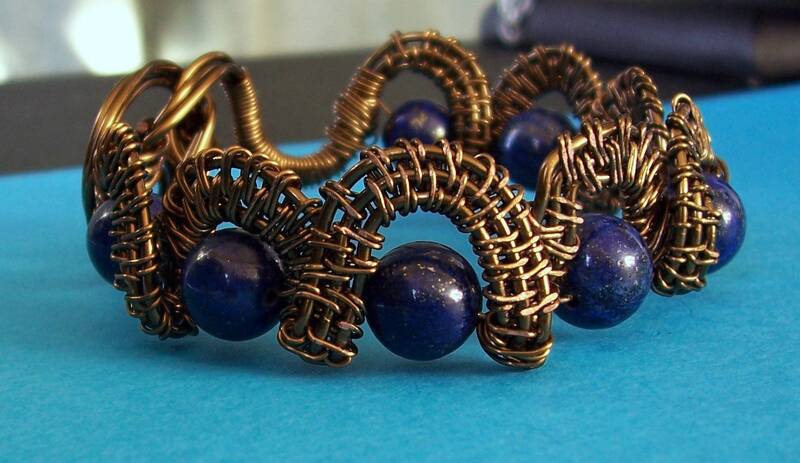 8 mm round Lapis Lazuli Beads are artistically hand woven onto Vintage Bronze colored copper wire, creating an intricate, artisan crafted, cuff bracelet with a handcrafted hook and eye self closure. 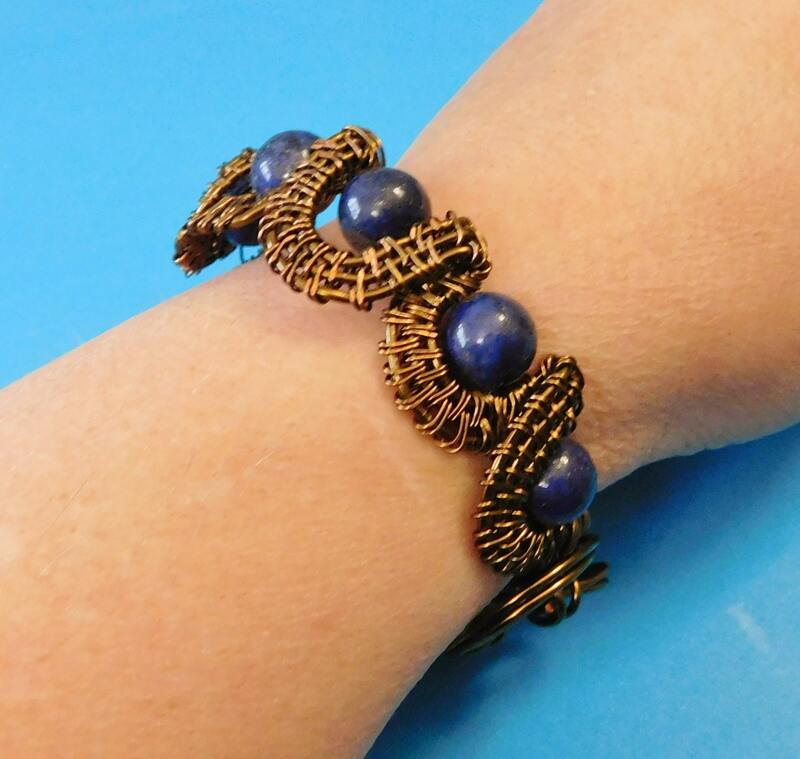 The bracelet measures 8 inches around when closed, but can be adjusted slightly with light pressure. 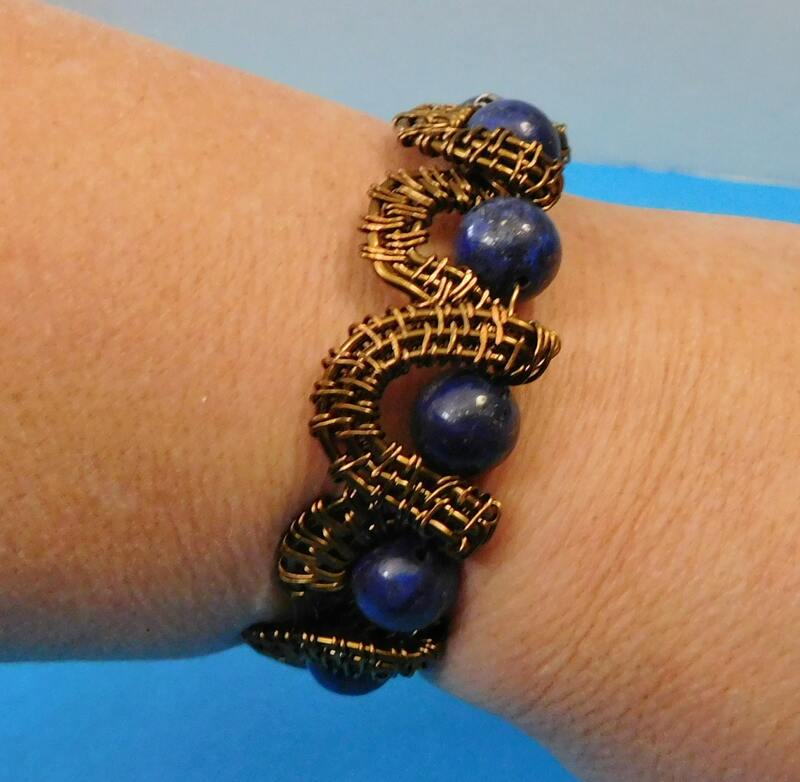 It is a substantial accessory, and carries a little weight, so the person who wears it needs to be one that enjoys a bold look. 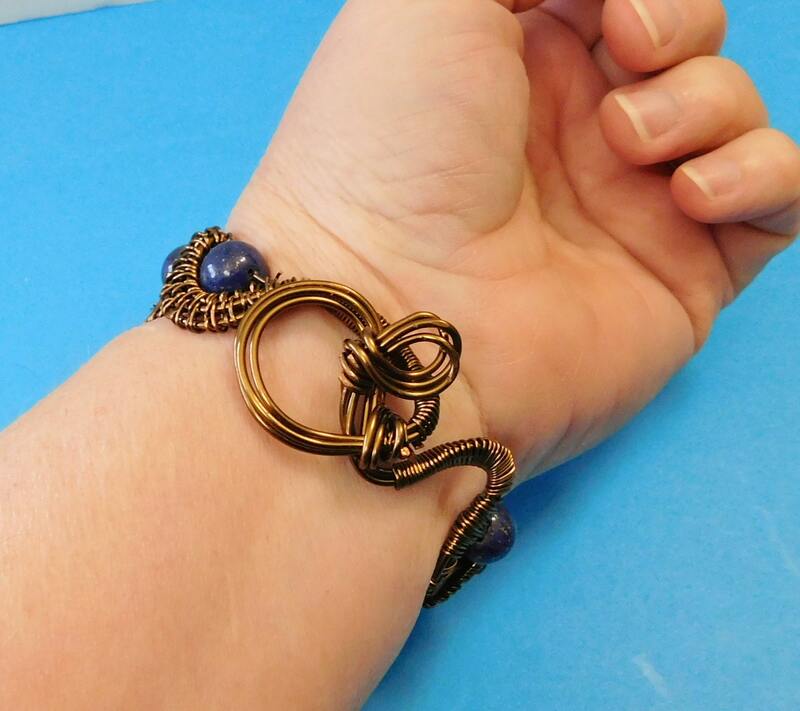 This is an interesting and unique design that will be a favorite in your accessories wardrobe for years to come.